The Occupational Safety and Health Administration (OSHA) recently fined a company more than $117,000 for failing to take the proper safety precautions to help prevent New England work accidents. The company, Raymond J. Cawley Contracting Inc., was cited for allowing cave-in and other-related dangers on its work site while employees were excavating to replace a sewer line. 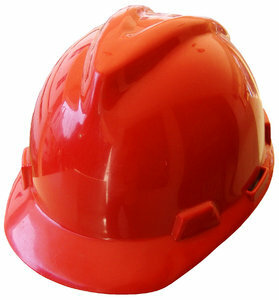 Employers are required to take all of the mandated safety measures to keep employees safe on the job. In excavation and trenching projects, hazards are plentiful but can easily be contained with the proper knowledge. Following a recent work site inspection, OSHA officials discovered that two employees were allowed in an 8-foot-deep trench that was improperly sloped or shored to help prevent sidewalls from falling in. In addition, safety and health officials also discovered that materials that had been excavated were placed at the edge of the trench, posing a serious cave-in hazard. Also, the trench didn’t have a sufficiently tall ladder for workers to exit swiftly and safely in the event of an emergency. Our Boston workers’ compensation attorneys understand that these workers were not provided with the proper safety equipment either. They weren’t given the proper protective helmets, which put them at high risks for being hit by an operating backhoe’s bucket and the material that was falling out of it. Lastly, the company didn’t properly train these workers to be able to identify hazards and it did not have the trench properly inspected by a safety officials. Employers are required to make sure that employees have the proper safety equipment on the job and that they’re properly trained to execute the job safely and efficiently. Employees who work in trenches and in excavating projects face some serious risks for work-related injuries and even death. Trenches can cave-in in a matter of seconds and can kill employees quickly. With the warmer weather creeping in, contractors are urged to go over their safety programs and procedures with workers to make sure that everyone is properly trained and is better equipped to stay safe on the job. It should also be a top priority to make sure that all trenches are equipped with the proper safeguards. Safety is a team effort and should be a focus of both employers and employees. Following the OSHA inspection, the company received one willful violation, totaling $70,000, as well as two repeat violations, totaling nearly $18,500. Other various citations, totaling nearly $29,300, were issued for various violations. -Not properly safeguarding a trench. -Not offering employees with the proper protective equipment. -Not equipping trenches with the proper safety ladders. According to national standards, all excavations and trenches that are deeper than 5 feet need to be properly protected against collapses. The Boston workers’ compensation lawyers at the Law Offices of Jeffrey S. Glassman, LLC are dedicated to fighting for the rights of injured workers throughout the state of Massachusetts. If you, someone you work with or a loved one has been involved in a work-related accident and would like to file a disability claim, call us today to set up a free and confidential appointment to discuss your rights. Call 1-877-617-5333.